Monyaka was a reggae/funk band from Los Angeles, founded in 1974 as the Soul Supersonics, the band spent most of their time backing up visiting reggae stars before setting up their own record label, Hevyaka, in 1977 and releasing single Rocking Time and album Classical Roots. 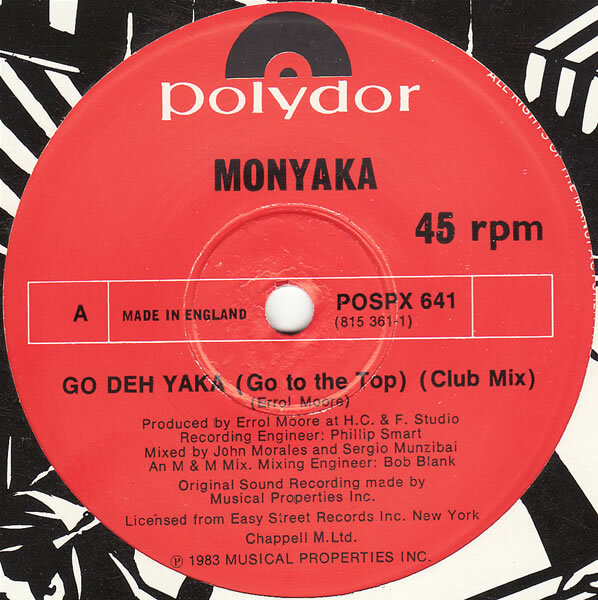 It took five years for further releases to come out of the group, by which time the group had renamed to Monyaka; in 1982, they released Stand Up Strong. This itself was not particularly successful, however follow-up single Go Deh Yaka, made #14 in the UK and #48 in the US. Mixed by John Morales & Sergio Munzibai for the 12″ single release. Bananarama are an English female pop music singing group who have had success on the pop and dance charts since 1982. Rather than relying on harmony, the band generally sings in unison, as do their background vocalists. Although there have been line-up changes, the group enjoyed most success as a trio made up of friends Keren Woodward, Sara Dallin and Siobhan Fahey. “I Can’t Help It” was included on the fourth studio album Wow! by Bananarama and was released as its third single except in the U.S., where it was the album’s second single (following “I Heard a Rumour”) and Australia, where it was the album’s fourth single (after “I Want You Back”). The track was co-written and produced by the Stock Aitken Waterman (SAW) trio. The single peaked at number twenty in the UK singles chart, #27 on the Australian ARIA chart (where it was released in August 1988 after I Want You Back), and just missed the top-forty on the U.S. Billboard Hot 100. A hit in nightclubs, “I Can’t Help It” climbed to number seven on the U.S. Hot Dance Club Play chart. This is the final Bananarama single to feature Siobhan Fahey, who announced her departure shortly after its release. 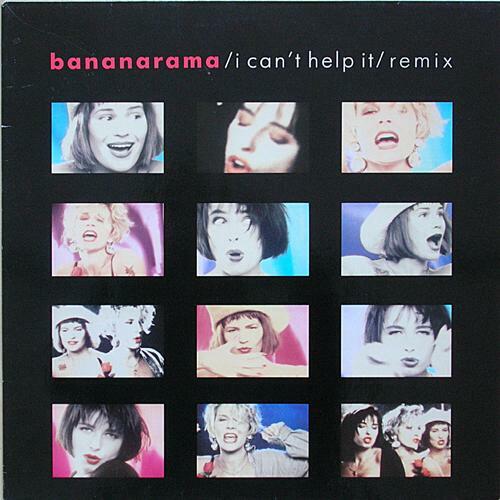 The 2nd 12″ single release of “I Can’t Help It” featured remixes by Pete Hammond. 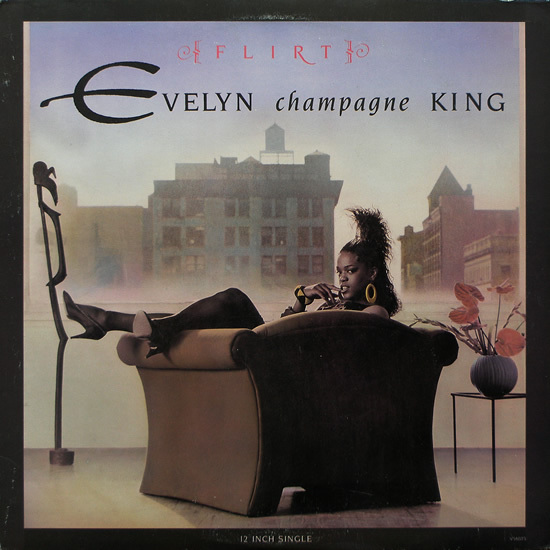 “Flirt” was the lead single off Evelyn “Champagne” King’s album of the same name, the LP was the ninth in her career and the first released by EMI-Manhattan after a long period with RCA Records. “Flirt” was written by Leon Sylvers III (The Sylvers) who had been very successful writing and producing for acts on the SOLAR label in the early 80’s. The single “Flirt” went to #3 on the US R&B charts. Dave Ervin and Erik Zobler provided three mixes for the 12″ while Herbie “Pump” Powers contributed the “Body Groove” mix. Caprice were a US electro/disco group who released two singles on NIA Records in 1985-1986. The group comprised Jackie Bradley (guitar/vocals), Yvette Davis (lead vocals/keyboards), Glenn Norman ( background vocals/keyboards), Mattin Tuzo (bass) and Brian Tuzo (bass and drums). In late 1983, Jackie Bradley approached Sonny Davenport and Leroy Burgess (Aleem) to compose and produce a song for a new group he was founding called Caprice. Jackie and Leroy Burgess had been in the group Black Ivory in 1970 and remained friends after Leroy’s depature from the group. 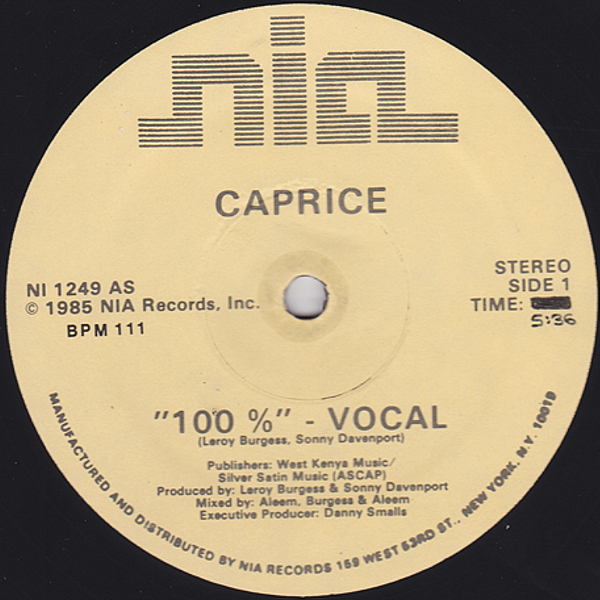 The resulting single was “100%” and became the debut single by Caprice. Leroy Burgess has named the track as one his favourite compositions. Lisa Lagoda is a painter/singer/songwriter/composer from Cottesloe, Western Australia. Lisa left Australia in 1980 to pursue a music career in Europe with her sound engineer husband, Malcolm. Lisa and Malcolm set up home in Hamburg, Germany and Lisa released a number of singles in Europe through the 80’s culminating in LP “Half Moon Street” in 1989. Lisa also collaborated on soundtracks including “Nonni Und Manni” in 1988 with Klaus Doldinger. 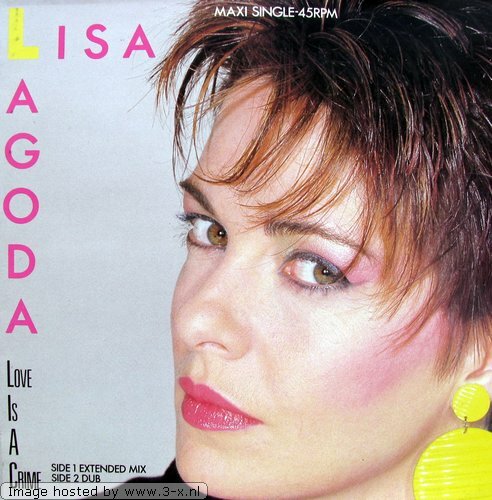 In 1984, Lisa released the single “Love Is A Crime” on CBS Records in Germany, the track was written by Barry Flynn (Bonk, Big Supreme) and remixed by John Morales and Sergio Munzibai for the 12″ single release. Composer, performer, producer and technological conceptualist Joshua Fried’s work spans experimental music, DJ culture and live art. He has remixed They Might Be Giants, drummed on electric shoes, and put headphones on Downtown NYC’s most mercurial stars. Based in New York City, Fried has performed solo at Lincoln Center, The Kitchen, Danceteria, La MaMa, BAM, Joe’s Pub and le Poisson Rouge (all NYC), in Los Angeles, Miami, Tokyo, Berlin, Milan, Paris and across Europe. His production credits include Chaka Khan, Ofra Haza, and avant drone-master David First. 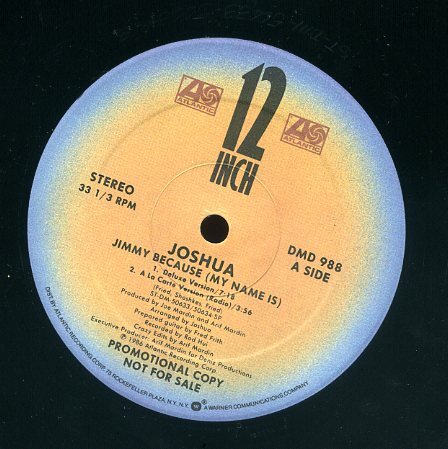 In 1986, Joshua released the single “Jimmy Because (My Name Is)”on Atlantic Records, produced by Joe & Arif Mardin with guitar by Fred Frith. The Pasadenas were a R&B / pop group from the United Kingdom, a vocal group firmly focused on the music and artists from earlier decades, their music was heavily influenced by 1950s doo-wop, 1960s Motown, and early 1970s funk and R&B. The band was mainly known in the United Kingdom. 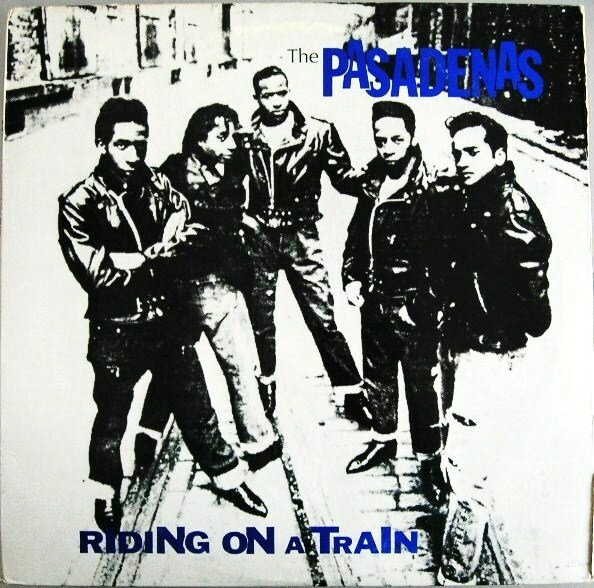 “Riding On A Train” was the secong single released from The Pasadenas debut album “To Whom It May Concern”, the single reached #13 on the UK singles chart, #73 on the US R&B charts and #4 in the Netherlands. The US 12″ single featured remixes by Justin Strauss, edited by Chep Nunez with additional keyboards by Eric Kupper. Kane Gang were a Blues rock trio from North East England that had a few UK hits and two U.S. hits in the 1980s. Named after the movie, Citizen Kane, the trio recorded for the indie record label, Kitchenware, that was also home to Prefab Sprout. Vocalists Martin Brammer (born 13 May 1957, Seaham, County Durham) and Paul Woods, plus multi-instrumentalist Dave Brewis formed the trio in 1982, after meeting in small local bands, and signed to a small record label, which led to a deal with London Records in 1984. Their debut album, Bad and Lowdown World of the Kane Gang (released in the United States as Lowdown), was released the next year, and spawned two United Kingdom hit singles. 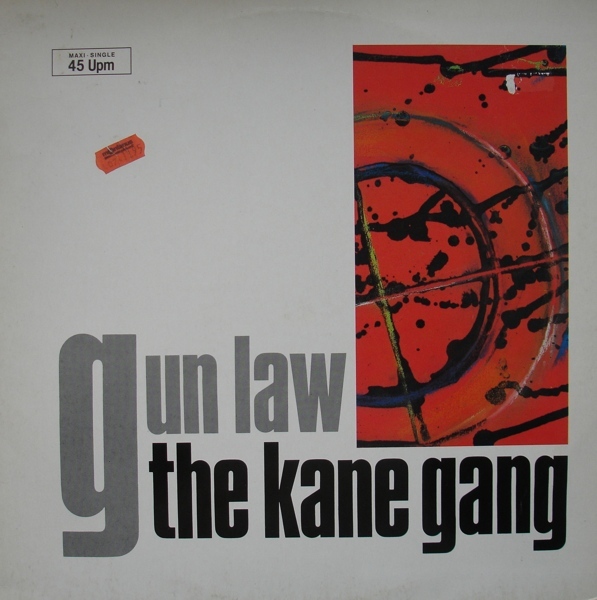 The last single to be released from Bad and Lowdown World of the Kane Gang was “Gun Law”, the track went to #53 on the UK charts. “Gun Law” was remixed by Joseph Watt for the US 12″ single release. 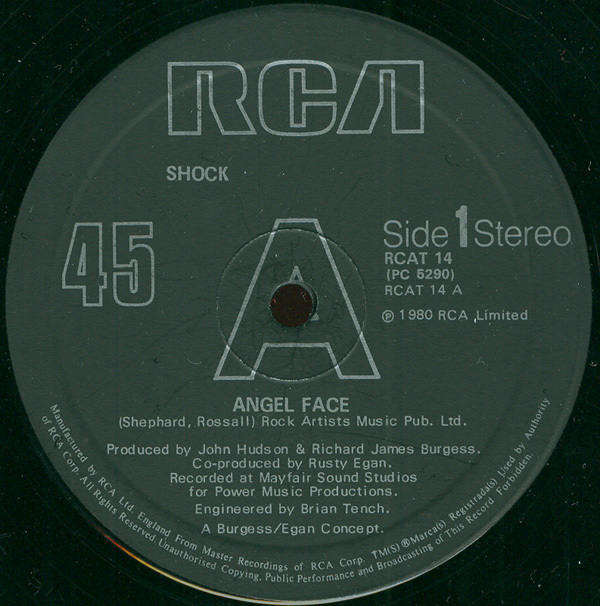 Shock is a music/mime/dance/pop group that was notable in the early 1980s for supporting English pop groups such as Gary Numan, Adam and the Ants, Depeche Mode and Famous Names, led by Steve Fairnie. In 1979, mime artists Tim Dry and Barbie Wilde united with dancers Robert Pereno, LA Richards and Karen Sparks to produce Shock. In April 1980, they recruited another mime, Sean Crawford. The line-up changed again with the departure of Karen and the introduction of Carole Caplin. Based in London, England, Shock performed in clubs like The Haçienda, The Warehouse (Leeds) and The Blitz Club (home of the Blitz Kids) and The Venue (London). With costumes from Kahn & Bell (designers for Duran Duran), miming to music by Fad Gadget, Landscape, Kate Bush and Wilson Pickett, they found themselves in the vanguard of the New Romantic cult of the early ’80’s, alongside Boy George, Duran Duran, Steve Strange and Spandau Ballet. Their first record, a cover of The Glitter Band hit ‘Angel Face’ on RCA Records — with production by Rusty Egan (Visage) and Richard James Burgess (Landscape) — was a dance floor hit. Shock went on to perform at the The Ritz rock club in Manhattan and extensively toured Europe and the Far East. Their biggest live concerts were in April 1981 with Gary Numan at Wembley Arena. Denise Katrina Matthews (born January 4, 1959), better known as Vanity and sometimes credited as Denise Matthews-Smith and D.D. Winters, is a Canadian-born former singer, songwriter, dancer, actress, and model. Vanity’s career lasted from the 1980s until the early mid-’90s. She was the lead singer of the female trio Vanity 6, which recorded the 1982 R&B hit “Nasty Girl”. In 1980, she met Prince at the American Music Awards. Prince renamed her Vanity because, he said, he saw his female reflection when he looked at her. After learning that Vanity could sing, Prince asked her to become the lead singer of the group Vanity 6. In late 1982, the group went on the 1999 tour with Prince and The Time until spring 1983. Vanity 6 made headlines and gained a following with their provocative performances during the tour. After one album, Vanity decided to leave Vanity 6. She did not appear in the film Purple Rain in 1983. Several songs for Vanity 6’s proposed second album were recorded. They were later released as bootlegs. Vanity signed a record deal with Motown Records in 1984 and recorded two solo albums, Wild Animal and Skin On Skin. Extended versions of the single “Pretty Mess” from Wild Animal b/w “Mechanical Emotion,” which featured Morris Day, were released as a 12″ by Motown. Her solo albums were moderate successes. Her biggest hit was “Under the Influence” from her 1986 album Skin On Skin. The US 12″ of “Under The Influence” featured remixes by John Morales & Sergio Munzibai.